At Freedom Leisure we offer an extensive and inclusive swimming program at all of our venues. The Flash deliver the Swim Wales aquatic framework through our team of Level 2 and 3 trained ASA swimming teachers. Our classes ensure improved water confidence and swimming technique by allowing the individual to progress at their own pace. 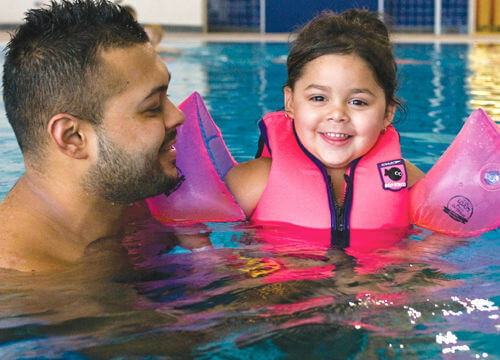 Swimming lessons also teach children the key water survival techniques from the RLSS Safecode and educate on how to spot and avoid potential dangers associated with water. 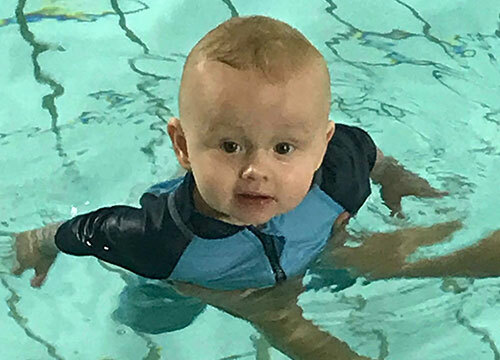 The Splash section of the Learn to Swim Wales framework offers a comprehensive 'Learn To Swim' programme for babies and toddler-aged swimmers. 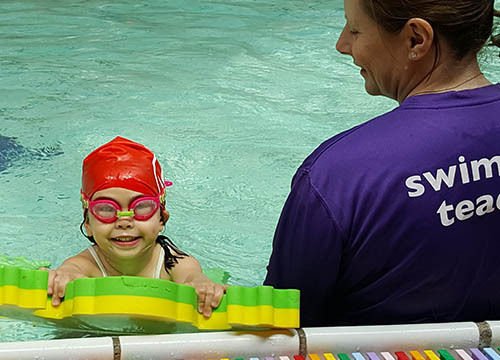 Splash allows young swimmers to progress and develop their skills, confidence and independence in the water preparing them for transition into our 'Waves' programme. There are so many benefits to taking your baby or toddler swimming. 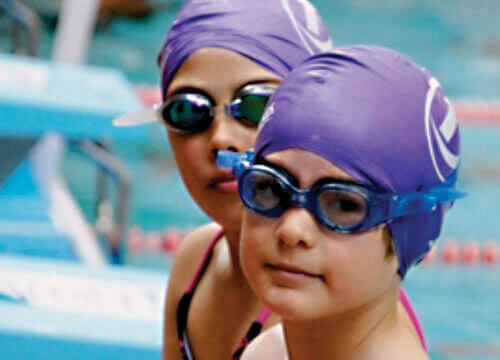 Swimming helps to improve co-ordination and balance. Babies who swim have tend to have a much better sense of balance and physical control on dry land. Working all the muscles of a baby’s body helps to make them stronger as they grow. Swimming improves the strength of your child’s heart and lungs, and helps to develop their brain, reaction time, and co-ordination. Swimming can regulate baby’s appetite. The exercise and the warm water seems to help make a baby hungry, so make sure you have snacks and drinks for afterwards. Some parents can unknowingly pass on their own uneasiness around water. Going in the water with your baby will help them grow up with confidence about being in and around water, and it can boost your own confidence too! For adults accompanying a baby or toddler most commonly aged 4 months to 18 months but appropriate to older toddlers if it is their first experience in the water. For a toddler aged up to 2 years, but also appropriate to older toddlers, accompanied in the water by an adult. For a toddler aged 18 months to 3 years, accompanied in the water by an adult. For a child aged 3 years or older unaccompanied or accompanied by a parent in the water subject to teacher and class numbers. To develop confidence and safety in the water. Learning how to enter and exit the pool safely and independently. Learning how to float and the fundamentals of the 3 main strokes. Learning how to push off from the wall with their face in water. All learning is in a fun and playful environment. Safely jumping into the water without goggles. To float unassisted and stand up. Learning the basics of breathing through blowing bubbles whilst kicking. Building stamina to swim 5 meters in the 3 main strokes. The ability to push and glide from the wall and the fundamentals of rotation and sculling. Safely jumping into the water without goggles and retriving a sinkable object. The ability to correctly answer 4 questions on the RLSS Safecode. Learning the basics of treading water for a minimum of 15 seconds. Building the stamina and improving on stroke technique to be able to swim 10m Front Crawl and Backstroke and 5m Breaststroke and Butterfly. Learning to scull feet first on their back for 5m. Begin to show an understanding of the importance of preperation for exercise. Refining stroke technique through focusing on body position/streamlining using drills to focus on different stroke aspects (including underwater dolphin kick). Demonstrate the HELP position from RLSS Safecode. Develop the technique of effective treading water and maintaining above the water for 30 seconds. Building the stamina and improving on stroke technique to be able to swim all strokes 10m. Perform a series of 3 floating shapes. Learn how to do dolphin kicks underwater. Learn the HELP position. Improve floating and treading water techniques. Improve the technique of all four strokes. Learning to jump 3 different jumps without goggles into a minimum of 1.5m. Devolping stamina and stroke technique to be able to swim up to 25m in a stroke of their own choice. Learning how to safely perform a handstand and a forward somersault. Demonstrate a series of sculling movements. Learning how to throw a rope or buoyancy aid to rescue a casualty in the water. The ability to tread water whilst demonstrating actions for getting help and move into the HUDDLE position. Progressing to be able to swim 50m following FINA stoke rules. Demonstrate an underwater pusha nd glide with 3 dolphin kicks into a 20m swim (front crawl and backstroke). Swimming 25m with clothes on (pyjamas are reccomended). Learning how to perform a sitting dive and a head first surface dive. Performing a shout and signal and a reach resuce to a casaulty in the water. Demonstrate an underwater push and glide into a 25m swim for all 4 strokes. Swim 200m continuously using 3 different strokes. Continuosly swim 100m Individual Medley. Safely perform a plunge dive. Tread water whilst passing a ball to a partner for 30 seconds. In a group demonstrate a series of skills. Take part in a relay race. 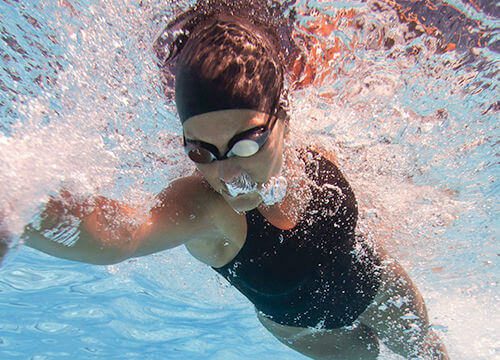 Demonstrate an underwater push and glide into a 50m swim for all 4 strokes. Stay vertical and static with their head out of the water for 20 seconds using correct technique. Using a buoyancy aid hold the HELP position for 2 minutes. Swim 50m with clothes on (pyjamas are reccomended). Demonstrate an effective surface dive with controlled breathing. Demonstrate a push and glide to a surface dive and retrieve a sinkable object. Demonstrate a tuck float to stretch position. Pass a ball accurately using one hand to throw and two to catch accurately over 2 meters. Builds endurance to improve fitness and stamina, concentration on skills and technique, putting into practice everything learnt from previous waves. The main focus is to put each session together from the last progressing the key technical phases of the strokes including starts and turns, concentrating on the underwater phases and transitions into stroke to take their swimming to the next level in a fun educational atmosphere. Although our Rookie Lifeguard sessions are aimed at children, the skills learnt throughout the course are valuable to people of all ages. These fun filled sessions will teach the basics of water safety, water rescues, lifeguard strokes and CPR; providing an insight into what the role as a lifeguard consists of.The scheme begins with stage 1 of the Bronze award, progressing through to stage 3 of the Gold award. 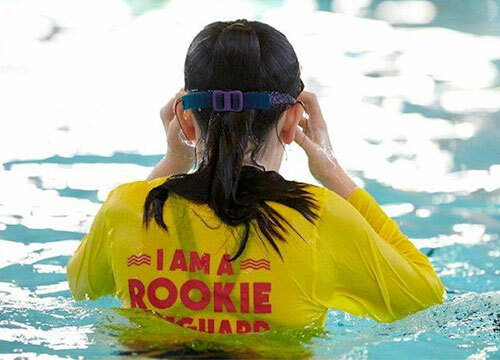 Children must be able to swim at a Wave 8 level (able to swim a minimum of 100m) to join Rookies and also need to bring a t-shirt or pyjamas to swim in during the session. Our Rookie scheme is proven to help guide swimmers into a career in the leisure industry with a number of our lifeguards supervising the swimming pool today participating in the rookie lifeguard program when they were juniors at The Flash. Learn to Swim – introduction to the swimming pool environment, water confidence and swimming skills. Stroke Improvement – building on existing skills to develop more efficient strokes. Swimming for Competitive or Challenge Events – to support your goals for Triathlon, Masters Swimming, Open Water Swimming or Charity Challenge Events. Within our adult swim programme customers will have their own goals and will work at their own pace supported by our fully qualified instructors. Swimming is for life. What a great way to keep fit and if you're not confident or you're returning to swimming after a long break we can provide the support and guidance you need.